A railroad group’s lawsuit against a state plan to remove 34 miles of train tracks has been delayed again, this time until the end of January. 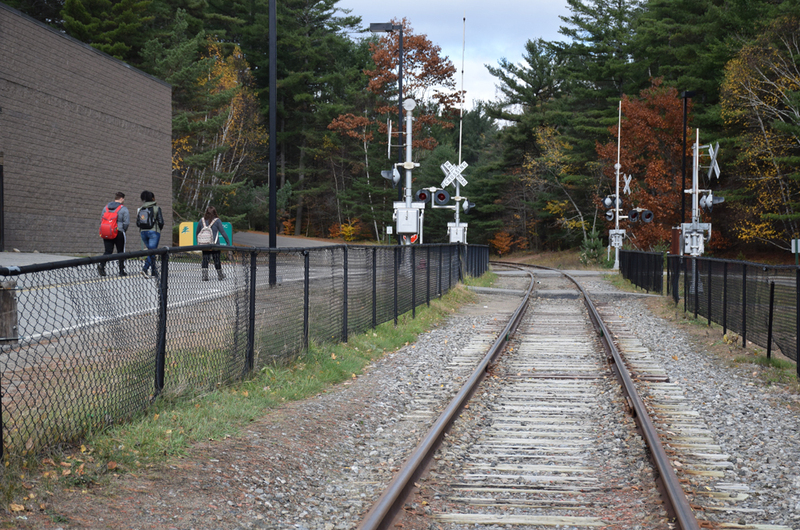 Suzanne Messer, a lawyer for the Adirondack Railway Preservation Society, said the state attorney general’s office requested the latest postponement due to issues with ownership of several parcels of land in the travel corridor. ARPS, a nonprofit group that runs tourist trains under the Adirondack Scenic Railroad name, sued the state in April, a month before Gov. Andrew Cuomo signed off on the state plan — seen by some as a compromise — to upgrade 45 miles of tracks between Big Moose and Tupper Lake and to replace the tracks with a trail between Tupper Lake and Lake Placid. The state recently discovered it needs to acquire fee title to three parcels around North Country Community College in Saranac Lake as well as the Lake Placid train station, which is owned by the Lake Placid/North Elba Historical Society. Messer said state officials are trying to get the owners of those parcels to voluntarily convey ownership to the state. Messer said the railroad agreed to the delay on the condition that no railroad infrastructure is removed during the postponement. The state had previously said local municipalities could start to remove the tracks as soon as this fall, with the rest of the infrastructure to be removed next year. Messer said the lawsuit’s hearing is now scheduled for 10:15 a.m. Jan. 30 at the Franklin County Courthouse in Malone. The suit alleges that the state Adirondack Park Agency, Department of Transportation and DEC failed to take into account historic preservation and economic figures when making their decision. If the state’s plan comes to fruition, the railroad would have to end its train rides between Saranac Lake and Lake Placid, although it could extend its service between Utica and the Old Forge area all the way north to Tupper Lake. ARPS wants the state to make the entire railroad line usable and create a parallel trail, as called for in a 1996 unit management plan. The state started to reconsider the 1996 plan after a series of public meetings in 2013, and it first proposed its current plan in 2014. The Adirondack Scenic Railroad ended its 2016 season, which may be its last, in late October.